A first-of-its kind study has revealed that Essilor’s Eye Mitra inclusive business initiative in India is creating strong social and economic impact by addressing the issue of uncorrected vision needs. In addition to the benefits of good vision on individuals’ productivity and self-esteem, the program also contributes to improving livelihoods through job creation in rural and semi-urban areas that today suffer from a drastic shortage of primary eye care providers. 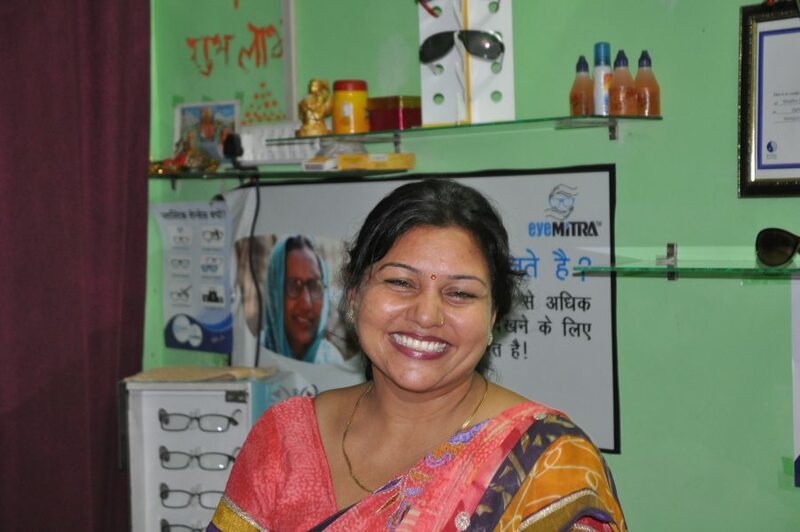 Essilor’s 2.5 New Vision Generation inclusive business division launched its Eye Mitra (Friend of the Eyes) program two and a half years ago as part of its strategy to improve awareness and access to vision care for underserved communities in India. An independent study, carried out by Dalberg Global Development Advisors, now shows that the initiative is not only fulfilling its primary objective of improved access to vision care, but also delivering clear and tangible benefits for individuals, their families and the communities they live in. 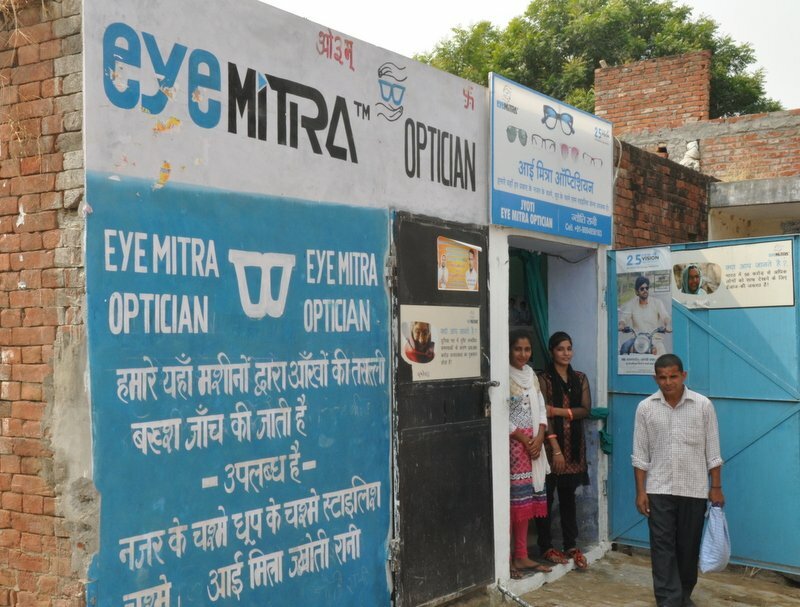 Eye Mitra pilots were set up in the Northern Indian states of Uttar Pradesh and Rajasthan in 2013 with local skills-building partners who help to recruit and train under-employed youth to set up a primary vision care business. From initial pilots, we’ve expanded to create a taskforce of 2643 Eye Mitra in 14 different states as of March 2017 who have helped over 880,000 people in their local communities to see clearly. The aim is to create 10,000 Eye Mitra by 2020. 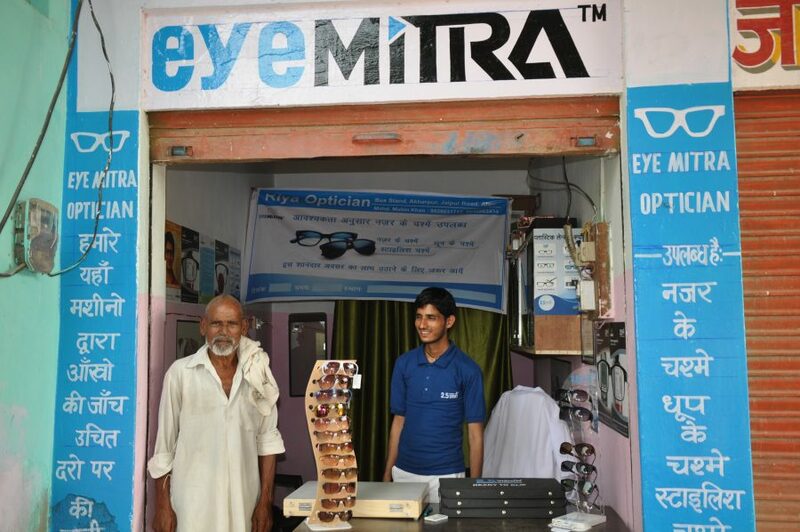 Beyond the provision of vision care, Eye Mitra enables young people to gain skills and qualifications to earn a livelihood locally. India has a significantly young population – 65% under 35 years – and an urgent need to build skills and create jobs to combat high youth unemployment and slow the migration of young people to cities in search of work. Mr Manzoor Ahmed, who runs his own Eye Mitra shop on the Indian and Pakistan border, commented on his experience with this program: “There are very few opportunities for employment but after the vision care training I got the confidence and skills to start something on my own.” By creating jobs, Eye Mitra alleviates poverty and stimulates the local economy; it reduces urban migration and contributes to the rejuvenation of rural communities. The program also focuses on gender equality and actively encourages women in its recruitment processes. The study shows a total quantifiable impact of US $4.4 million a year alone in the 6 districts surveyed, representing close to 400 Eye Mitra serving 70,000 spectacle wearers. This amount includes the economic impact of increased earnings for Eye Mitra, increased income through improved productivity of wearers as well as revenues for rural suppliers and other small businesses who benefit locally. If the Eye Mitra initiative was scaled up to all districts in India, this would represent a global potential impact of US $487 million a year. Impaired vision affects an estimated 550 million people in India alone, costing the country US $37 billion in lost productivity. But with a drastic shortage of eye care professionals in rural areas, programs like Eye Mitra can be a gamechanger, bringing primary vision care to the doorsteps of all those who need it.